Megan Abbott’s The Fever, reviewed. Megan Abbott explodes genre like no other writer. Megan Abbott is the kind of author whose books, once you’ve discovered them, present an immediate dilemma: You want to read them all, one right after the other, in hopes of prolonging the spell, yet you also become consumed with the need to hold one or two titles on her backlist in reserve, so you can be assured there will always be one yet to come. 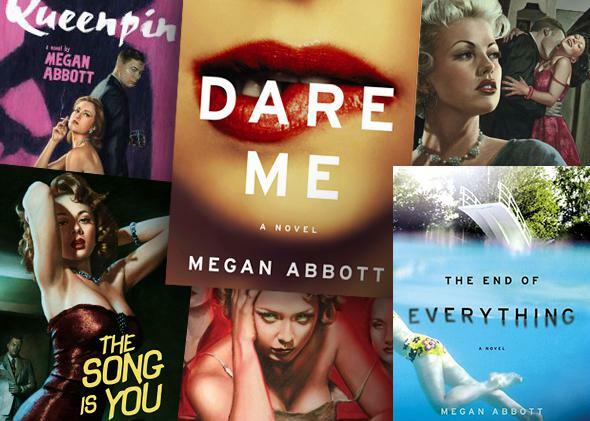 There are lots of authors who write books you want to devour, but, to borrow an old construction from that esteemed literary critic Yakov Smirnoff, with Megan Abbott, her books devour you. I say this as a relatively recent (and somewhat reluctant) convert. I only discovered Abbott thanks to the good advice of a wise friend whose recommendation I at first decided, for unsound reasons, to ignore. When my friend, who’s always up on worthwhile crime writers, mentioned Abbott to me, I did what we’re all too prone to do in this age of cultural saturation: I made a snap judgment based on scant information and decided, without reading even one of them, that her books weren’t for me. My stupid decision was based entirely on one line in her biography: Abbott holds a Ph.D. from NYU, so I assumed that her crime books represented a kind of cerebral writerly slumming—you know, bloodless deconstructions of genre thrillers that also managed to drain them of any fun. (For example, the post-modern pretzel Noir by Robert Coover, or some of Paul Auster’s coolly Frenchified “homages” to hardboiled mysteries.) This despite the rave blurbs she’d earned from James Ellroy (no cerebral deconstructivist, he), Laura Lippman, and Gone Girl’s Gillian Flynn. I’d made my decision to deny myself, and I stubbornly stood by it. Then I, you know, read one of her books. The first one was Abbott’s third novel, Queenpin, a highlight of what may be called Early Period Abbott, a classification that isn’t at all intended to imply immaturity or apprenticeship. The first four of her seven novels, starting with Die a Little and on through to Bury Me Deep, are pitch-perfect evocations of classic period noir, set midcentury, but each with an ingenious contemporary twist. As the title of Queenpin suggests, the story is one of a powerful crime boss undone by an ambitious underling, except in this case, refreshingly, both boss and underling are women. This not only gives new resonance to the book’s familiar noir trappings; it also opens up entire new areas of literary territory for Abbott to explore, conquer, and claim as her own. I don’t pretend to be well-read enough to make the following claim authoritatively, but if you think there’s an American author writing about the thorny intricacies of female relationships with more smarts and verve than Megan Abbott, feel free to step forward and make your case. Abbott’s early novels read simultaneously like unearthed 1950s pulp classics and like novels written by a sharp modern writer with a canny expertise in 1950s pulp classics—knowing evocations of a classic form that simultaneously honor and explode the precepts of that form. See what I did there? I just made them sound really boring, with all my talk of honoring and forms. So let me add this corrective: They’re awesome. Abbott’s writing recalls for me that pivotal scene in The Matrix, when Neo finally defeats the evil Agent Smith and, by extension, the Matrix itself. He does this (15-YEAR-OLD SPOILER ALERT!!) by flying into Agent Smith’s body, inhabiting him, then blowing him to smithereens. Once this is done, Neo flexes his muscles in a cool, Zen-muscle-flex-y kind of way (making reality bend around him), then calmly locks eyes with the remaining agents, daring them to approach. To me, that’s kind of like Abbott and pulp literature: inhabit, explode, flex muscles, then beckon readers forward for what’s next. Late Period Abbott we can date to The End of Everything, her 2011 novel, which was her first with a contemporary setting (well, the 1980s) and an adolescent, not adult, heroine. For those of us who like our favorite authors to basically do the same magic trick over and over while we clap along with glee, this shift from her earlier period noirs was nerve-wracking. The results, though, were astonishing. There are accomplished athletes who elegantly perform all the maneuvers we expect of them, earning our polite applause. And then, every so often, there’s the athlete who joyfully uncorks some boss move we didn’t even know was possible. Dare Me feels like that—a YOLO flip high over the half-pipe, while we watch, our jaws dropping, amazed. Abbott’s newest trick is The Fever, which arrives this month as a kind of unofficial thematic companion to Dare Me, in that it revisits the halls of high school, with all their echoing gossip, itchy hormones, and hushed plots of callous betrayal. The Fever is inspired—in a Law & Order­­–ish, ripped-from-the-headlines way—by the case of the teenage girls of Le Roy, New York, many of whom were felled one year by a mysterious, and apparently contagious, illness. To say any more about the facts of Le Roy would be to tip you one way or another on The Fever, so I’ll hold back, and only add that the Le Roy story serves here more as a spark than a blueprint. The supporting cast features, among others, a seductive French teacher with a peacock-feather tattoo that twines evocatively down her neck; a conspiracy-addled father of one of the afflicted girls, armed with a sheaf of Internet rumors; a lithe hippie chick named Skye, who trails malevolence and seduction; and a local mom with a “click in her throat, a vestige from the tracheostomy after the accident. (The accident—is that what you called a claw hammer to the face? )” A casually mentioned claw-hammer-to-the-face is exactly the kind of detail that pops up in Abbott’s world, where within every creamy complexion there’s a jagged scar. In its calibrated creepiness, The Fever evokes the best of David Lynch. With its hysterical girls in a buttoned-up town bordered by an overripe wilderness, it evokes The Crucible (Abbott even name-checks Goody Osburn). There’s also a touch of the teen-pulp empress V.C. 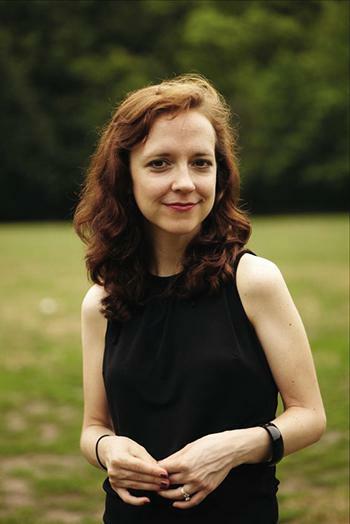 Andrews, a writer Abbott has publicly expressed admiration for, and whose work she smartly echoes and easily bests. At this point, I fully trust Megan Abbott could pull off anything; her next novel could be set among Shaolin monks on a Mars space station and I trust she’d invent, then own, that genre too. (Inhabit, explode, flex, beckon.) But it should be pointed out that, in teenage girls, with their whisper campaigns and purring libidos, she’s clearly found fertile literary soil, one that could support another half-dozen novels at least. Abbott’s teenagers feel authentic, in all their clumsy malevolence and bared vulnerability, in their canny ability to ceaselessly obsess, then casually destroy. They are both the authors and victims of their own overheated fictions. Much of the potency and continued metaphorical usefulness of noir, of course, comes from its bright palette of heightened emotional states: the desperate patsy, the conflicted killer, the frantic housewife who accidentally hit and killed a drifter and then buried him in a shallow grave in her backyard. Teenagers, of course, exist in a perpetual (and self-perpetuated) frenzy of heightened emotions. Each new crush is a world-ending love affair; every subtle shift in allegiance is a poisonous betrayal, punishable by rough expulsion from the herd. The Fever, like Dare Me, is high school reimagined as a distinctly American dog-eat-dog world, set among feral puppies who’ve only just discovered their fangs. You want your literature to hold a mirror up to the world? Abbott’s novels remind us that sometimes the world is too dark for a mirror; that you need a flashlight, or better yet, a headlamp, and, of course, an expert guide, because you never know when you’re going to trip over a corpse in the darkness—and start to wonder who among your trusted group might have hidden the body to rot. The Fever by Megan Abbott. Little, Brown.